Teaches the skills and offers up the tips and information people need if things really go wrong; for people who have decided to take their safety into their own hands in learning to live off the land, digging the own wells, providing their own power and defending themselves. Chris McNab is an experienced specialist in survival techniques. 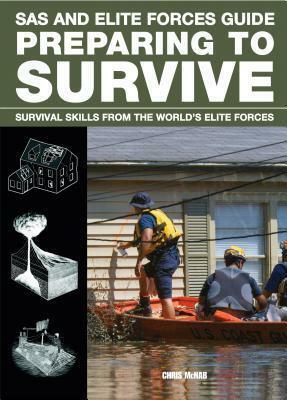 He has published over 20 books including How to Survive Anything, Anywhere, Special Forces Endurance Techniques, First Aid Survival Manual, Military Survival Handbook and SAS and Elite Forces Guide: Wilderness Survival. In his home country of Wales, UK, McNab provides instruction on wilderness hunting techniques.